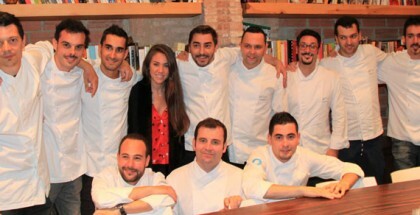 Hamburg recently hosted a cutting-edge pastry event. 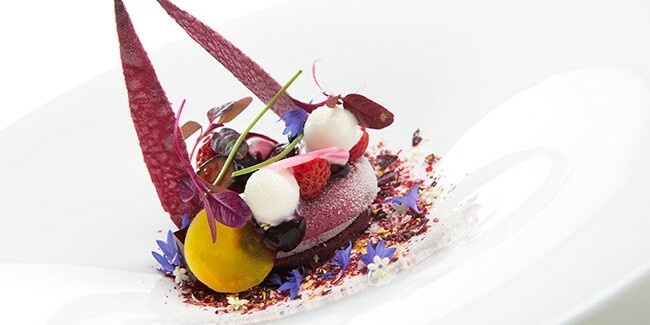 On the one hand, there was iPastry, which showcased the creative work of three renowned chefs: Christian Hümbs (Hearlin Restaurant, Hamburg), one of the pioneers in the use of vegetables in desserts, created an offering with a base of beetroot, berries and a playful mix of ice cream and buttermilk. Secondly, René Frank (La Vie, Osnabrück) delighted the audience with a pre-dessert centred on the theme of fermentation. The third pastry chef in the grouping was the Spaniard, Xano Saguer (EspaiSucre), whose dessert also contained beetroot, but this time was combined with dark beer, cherries and an Idiazábal cheese cake. Only a select group of 15 food critics had the opportunity to taste these creations and talk with their creators, particularly on the latest trends in restaurant desserts. The event also featured the conclusion of the semi-final of the Patissier des Jahres (Pastry Chef of the Year), a championship in which the participating chefs hail from Germany, Austria and Switzerland, with the final due to take place next year during the next edition of ANUGA in Cologne. 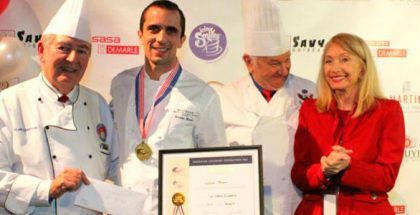 The winner of this championship will receive a financial reward of 3,000 euros and will also qualify for the Best Restaurant Dessert competition, organised by EspaiSucre.